The summer in Milan is still on, and hot! What is better than a refreshing iced watermelon? 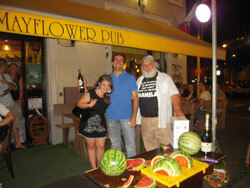 In Italy Watermelon is the symbol of summer, this is why our last party was titled “Anguria party”. The party started as a real happy hour in the Mayflower Pub, our favourite hub for school-parties, and as usual the first drink was offered by the school to all the students. They found some anguria slices on the buffet, but the real party still had to begin. After the happy hour, each student had to find a partner in order to play in pairs, they had to be a guy and girl to take part in the contest. The men were the watermelon eaters and the ladies held the slice of watermelon, two teams in turn played and…3-2-1 go! They put their faces in the slices trying to finish before the rival…the winner were: 3rd place Antonio from Mexico, 2nd place Carlos from Spain, 1st place Christofer from Sweden. They received prizes and they were very happy and, of course…refreshed! 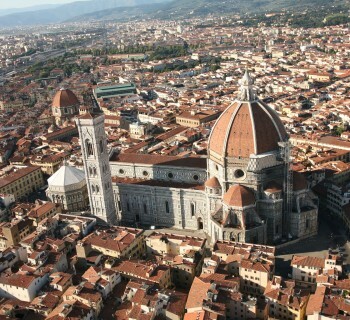 Enjoy Siena! Watch the video!